7,231 others viewed this post. 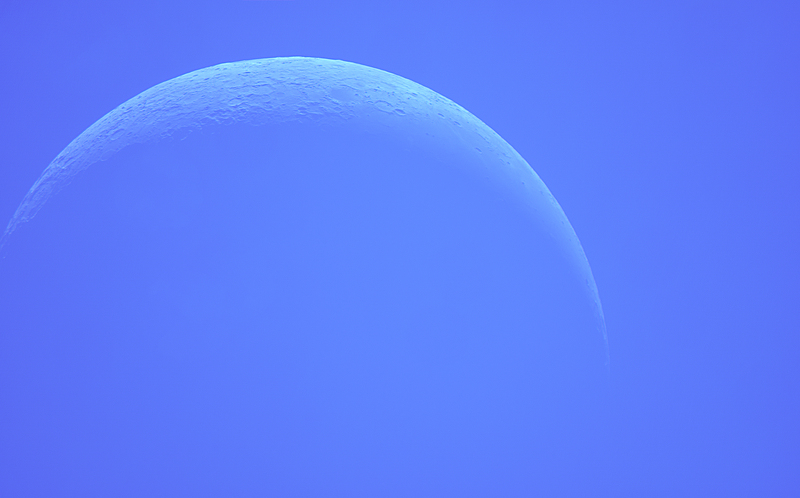 I recorded some video frames of the moon through some new gear this morning as a test before work, not even framing it properly on screen. But when I processed it into colour I fell in love with how it’s balanced in the frame. It feels like a sci-fi prop on a movie almost. There’s something very subtle, and simple about it. There’s nothing much to say about it really, the fading moon in the daytime is easy to miss unless you are looking for it but it is quite a sight up close.